Wave goodbye to stubborn stains and say hello to a sofa that stays cleaner and fresher for longer with this top service for upholstery cleaning in Wigan. Ideal for any type of fabric because of the multiple sofa cleaning techniques that we have on offer, you can count on a professional clean for any armchair, sofa, chaise longue, Ottoman, or any other sort of upholstered furniture that you have. Performed by an experienced team using the latest equipment and covered by full insurance, this is the ideal way to keep your front room or reception area looking spotless. Fill in our booking form, start typing into the chat box in the bottom corner of the screen, or simply call 019 4256 2008 to get in touch with us. Our friendly advisers keep our phone lines open and fully staffed 24 hours a day. Suitable for all types of fabric because of the multiple techniques at our disposal, these are the upholstery cleaners you need in any situation. From an emergency treatment for a spillage to regular care to keep your expensive new sofa in top condition for longer, our combination of the latest hot water extraction and dry cleaning techniques means you always get the right method. Dry cleaning is great for more natural weaves, as it uses no liquid, and thus cannot shrink the fabric. It also requires no drying time, which is ideal if you’re trying to get your reliable upholstery cleaning services over and done with as soon as possible. Hot water extraction cleaning, on the other hand, is better suited for artificial fibres that can withstand the heat of the water. Both techniques can be followed by a Scotchgard protective treatment on request. The techniques we’ll use in your professional upholstery cleaning services are also great when used in carpet cleaning. Remember to ask our team about the money you can save when you book more than one service from us at the same time. Service combinations with mattress cleaning can also end up saving you big bucks while giving all your fabric a new lease of life! 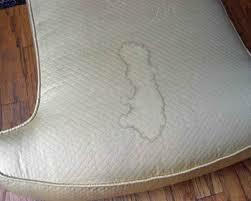 The Fully Trained Local Sofa Cleaning Experts! 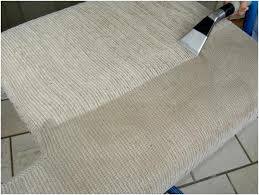 Both initial and ongoing training in the latest cleansing procedures means the highly effective upholstery cleaning services you get from us are performed by very knowledgeable staff. What’s more, our commitment to a stringent vetting and interviewing process means that every member of your team will be a reliable and experienced professional. You’ll be able to spot us with ease as we pull up in front of your property thanks to our neat uniforms, identification badges, and branded vehicles.